While your appendix has no known function, it can still become inflamed and painful. Appendicitis often requires immediate medical attention. Your appendix is a small, tube-like organ attached to the first part of your large intestine, and located in the lower right part of your abdomen. It has no known function and for many people it causes no problem throughout life. 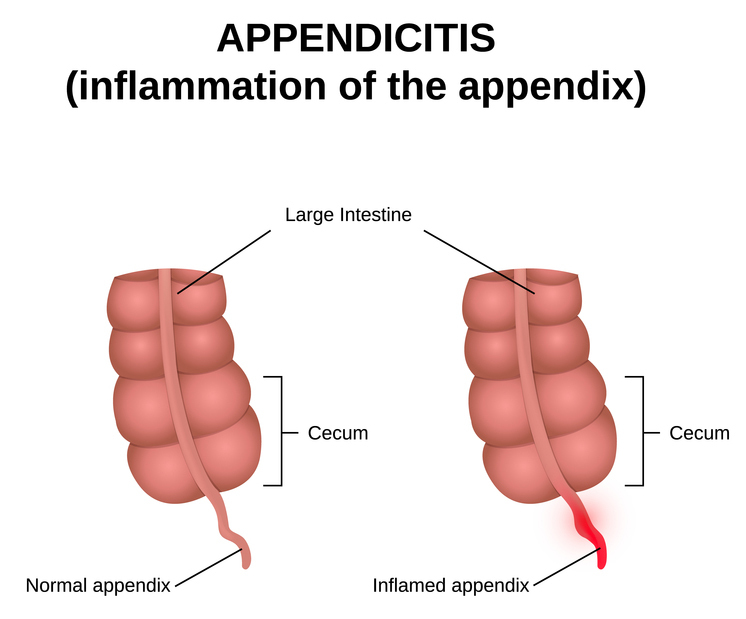 However, if it becomes inflamed from blockage, this can lead to appendicitis, a serious condition requiring immediate medical attention that typically involves appendix removal. A ruptured appendix.When this happens, infection spread throughout your abdomen. This can be life threatening and requires immediate surgery. Pus that forms in the abdomen. If the appendix bursts, you are at risk for developing a pocket of infection, or abscess. Placing a tube through your abdominal wall, which is left in place for about two weeks, drains the abscess. Antibiotics help eliminate the infection, and once the infection is gone, the appendix can then be removed. Blood test. A high white blood cell count may indicate an infection. Urine test. A urinalysis can determine if a urinary tract infection or a kidney stone causes your pain. Imaging tests. An abdominal X-ray, ultrasound, or a computerized tomography (CT) scan can help confirm a diagnosis. The main treatment for appendicitis? An appendectomy, during which the appendix is removed through a 2- to 4-inch incision. Another option is laparoscopic surgery. Here, special surgical tools and a video camera are inserted into your abdomen. In general, this approach allows for a faster recovery and healing. However, it is not an option if your appendix has ruptured and an infection as spread. 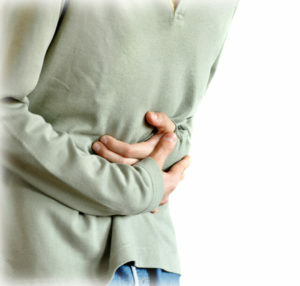 antibiotics, appendicitis, appendicitis causes, appendicitis tests, appendicitis treatment, appendix pain, appendix pain symptoms, appendix removal, appetite, bacteria, bloating, complications of appendicitis, constipation, diarrhea, digital rectal exam, infection, inflammation, pain, recovery, ruptured appendix, treatment for appendicitis. My appendix was by my naval. This situation is called a rotated appendix. At the time which was in the early 70s I was told that my pain was “all in my head”. With an elevated white blood count an exploratory was done and that was when they found the appendix in the unusual place. Had post operative infection as well and then a surgical hernia. All was well after about a year. When I got sick with appendicitis, I got a mild fever, intense stomach cramps (like nausea cramps), slight body chills, and stabbing pains around my right ovary. After a day or so, I went to the ER to see about my symptoms but I wasn’t so concerned because I was feeling better except my lower abdomen was still tender. My doctor said it was odd that I still had somewhat of an appetite if I was complaining of appendicitis symptoms. A CT scan later showed a very large cyst on my right ovary and just the tip of my appendix slightly swollen but not enough to remove. Diagnosis: ovarian pain. Fast forward 3 months and I am in the worst pain I have ever been. Buuuut… Doc said it was my ovary so I thought it was flaring up. I was in and out of the tub trying to make myself feel better. I was hunched over in pain and I could not make the nausea pain go away. I finally threw up bile because I had nothing in me and I never throw up and I was taken to the ER. Funny thing is that I had to wait 2 hours despite telling them my recurrent symptoms. Diagnosis: appendicitis. Surgery the next day after some heavy antibiotics. Funny thing though is that after I threw up, my body started to ease and feel better. And I even began to feel hungry.